Proper water consumption keeps you healthy. Doctors attest that water promotes healthy digestion and helps you maintain an appropriate body weight. It protects you from contracting disease and illness, and it can even improve chronic headaches. Those who drink water are often in better moods and are able to think more clearly. With these advantages, it’s easy to see why not drinking water is so detrimental to your health. Not all water is created equal, however. Water filters make sure that the water you’re drinking is the best it can be. This means that it's not only good for you, but it also tastes good. 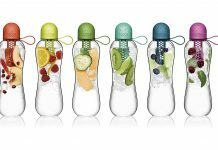 Nothing detracts from good hydration more than water that has a funny taste to it. The water filter inside your refrigerator has a big job on its hands. Not only does it eliminate pollutants from the water you’re drinking, but it also cleans the water your ice maker is using to make ice. If the water that’s dispensed from your refrigerator fails to pass through a filter, then it is essentially tap water. Tap water often comes with chemicals, pesticides and other nasty things you definitely don’t want to be drinking. Keeping your family safely hydrated is crucial to everyone’s health and wellness. 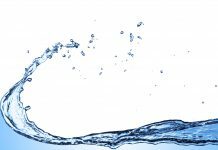 What Is a Refrigerator Water Filter? Your refrigerator filter is essential to getting the most out of your appliance. Most refrigerators will alert you when it’s time to change out the filter. When the filter light on your fridge illuminates, it’s tempting to ignore it. However, replacing your water filter doesn’t have to be a hassle. Most appliance brands make it as simple as possible to install your replacement, and many of them come in below $50. If General Electric makes your refrigerator, you’ll want to make sure you get a compatible GE filter. GE water filters are easy to come by, but once you start shopping, you’ll notice several alternatives that claim compatibility with your GE refrigerator. Is there a difference? In this GE water filter review, we’ll compare the official GE brand filter replacement with a couple of its competitors. This guide should help you determine if it’s worth saving a few bucks on a brand that isn’t designed specifically for GE appliances. 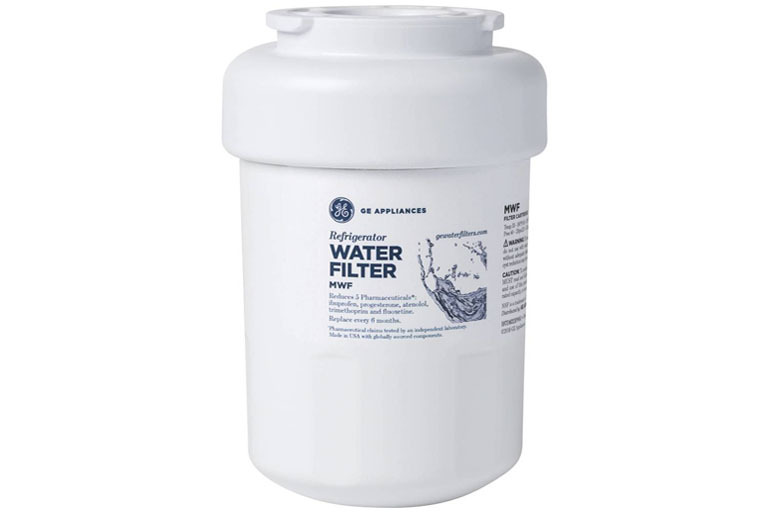 The filter life on the GE water filter is approximately 300 gallons of water. How much water is that? It depends how much you’re using the refrigerator’s water dispenser, but GE estimates this amount to last you up to 6 months. If you know you’ll be replacing it twice a year, that may help you decide to invest a little more in a bulk pack. This way, you can save a little money, and when the light comes on your refrigerator again, you’ll be ready to go. You may not know what many of the pollutants on this list are, but all the more reason to keep them out of your drinking water. NSF certification is an important point to understand when purchasing your new water filter. Not all brands that claim NSF certification meet the same requirements. This point will become crucial when we start comparing the GE filter to its competitors. On top of certification, compatibility is key. The last thing you want to do is buy a replacement that does not fit into your refrigerator. 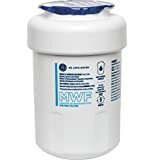 The GE MWF water filter replaces GWF, GWFA, GWF01, GWF06, MWFA water filters. Make sure you know the model number of your existing filter before shopping and confirm that it is on the list of compatible filter models. Product weight will vary between brands, but lighter versus heavier seems to have little impact on the water filter’s functionality. The GE MWF water filter weighs in at 1 pound. The differences come down to ounces. It’s negligible enough to make little difference. Lastly, don’t ignore the warranty information. Even though it’s a small purchase, it impacts the operation of your refrigerator’s water and ice maker. If your replacement isn’t working, having a warranty policy in place ensures you can get a well-functioning replacement. With the purchase of a GE MWF water filter, you’re getting a 30-day warranty. Whether you choose to buy a GE water filter or one of its competitors, it’s worth it to check to see that your water filter will meet each of these expectations. While the price is important, it’s crucial to know exactly what it is you’re paying for. The average price of the GE MWF water is $35, but some retailers sell them for up to $49.99. Third-party sellers may have discounts online, but you may have to pay shipping costs. Water filters are available in home improvement retailers like Home Depot or Lowes, and even in electronic stores like Best Buy. With this abundant availability, it’s worth it to save on shipping and go directly to the store. You might even find store coupons to bring the price down a bit. If you’re interested in buying bulk, you can usually get a 3-pack of GE water filters for around $100. It doesn’t save you a considerable amount of money, but the convenience of having filters on hand when it’s time for a replacement can make this decision worth it. Other brands that we’ll compare the GE water filter to can be as low as half the cost. We’ll consider if going off-brand is worth it to save some money. We found two common alternatives that compete with the GE MWF replacement water filter. These choices are considerably less expensive because they don’t carry the GE name, but we looked closely to see if you’re losing anything else by going off-brand. 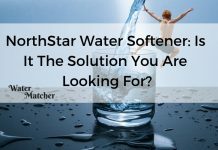 On the surface, these water filters seem almost identical, but there’s a key factor to consider. Water filter installation is a fairly easy process. No matter what brand you buy, you’ll find the assembly and installation simple. 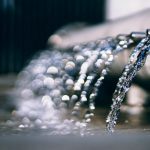 The GE water filter is likely the best performer when it comes to build quality, but the differences in performance may be so small that most consumers won’t truly notice them. It’s necessary to compare the product specs between the GE model and these two potential alternatives to uncover the truth. The Best brand water filter does not have exact water consumption of the filter, but it indicates that a filter change should occur every 6 months. This is comparable to the GE brand filter. Waterdrop also claims 6 months, but it also adds an additional 50 gallons to GE’s 300-gallon estimate. While there are some negative reviews on Amazon, most customers seem pleased with the life of all three of these filters. Certification is the game-changer. Like the GE water filter, the Waterdrop filter is NSF-certified. However, having this distinction doesn’t necessarily make them the same. The National Sanitation Foundation has different levels of certification. While the GE filter reduces the presence of several pesticides and contaminants, the Waterdrop filter is less thorough. It reduces the taste of chlorine and eliminates odors, but it seems to do little else. This means your water will taste better, but it may not be as clean as it could be. While the Best brand makes no certification claims, consumers attest that it meets the same certification standards that Waterdrop does. 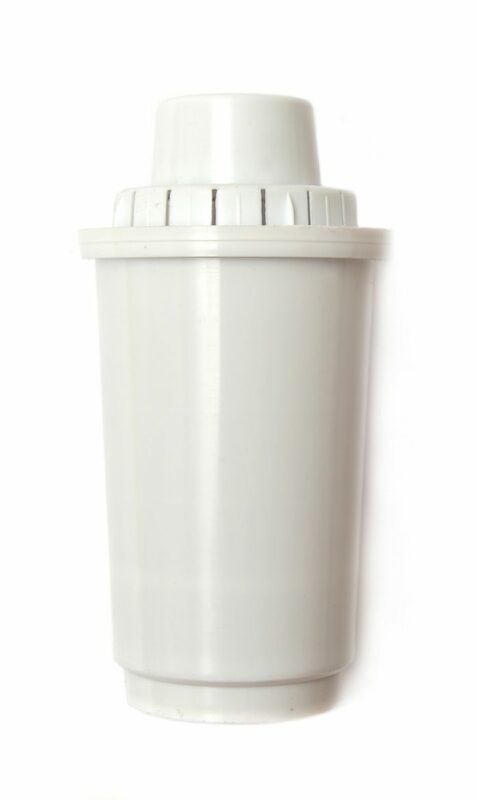 When buying a water filter, you’ll want to look for NSF 53 for maximum filtration. Waterdrop and Best meet the requirements for NSF 42, which covers aesthetic concerns like taste and smell. In these respects, GE wins the battle. You’ll pay more, but you’ll know your water is cleaner. Waterdrop is more of a powerhouse when it comes to compatibility. In addition to several GE models, it also can take the place of some Kenmore models. This may or may not be a good thing. The more models it tries to replace, the less it’s tailored to work with your specific model. 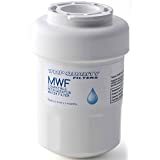 The Best brand is only compatible as a replacement for GE MWF water filters. It’s slightly more expensive than Waterdrop, but it’s a potentially better fit. The Best brand takes the warranty category with a lifetime manufacturer guarantee that if the product does not work as intended, the company will replace it. If you buy a GE water filter, you’ll be getting a 30-day warranty. While Waterdrop does not seem to offer any kind of manufacturer’s warranty, you may be able to get a refund from the seller if it does not function properly. The GE water filter is the heaviest at 16 ounces, compared to the 12-ounce Waterdrop filter and the 14.5-ounce Best water filter. These differences are quite small, but it’s worth noting that there isn’t a standard weight when it comes to water filters. A heavier filter may mean sturdier construction and better performance. However, if buying in bulk, the weight may add up. With price comparison, GE is clearly the most expensive since it carries the GE name. However, that price also includes the NSF 53 certification. This is a detail many consumers will overlook when pricing out replacements. That additional cost is likely small enough to warrant the upgrade. 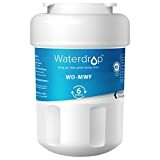 When you shop through Amazon, Waterdrop has a 3-pack for $30, which is less than just one GE water filter. If you decide that NSF 42 certification is sufficient, then Waterdrop can save you a considerable amount of money when you buy in bulk. It seems clear that the GE water filter has some definite advantages to its off-brand competitors. 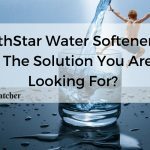 Some of these advantages will be more important to consumers than others, so deciding what you want out of your water filter will help lead you to the right decision. Ultimately, the GE water filter is the best choice. When you buy from the same manufacturer that made your refrigerator, you’re ensuring the absolute best fit. You know it’s designed to operate under specific conditions, and installation will be a snap. Over time, the price difference between a GE water filter and its competitors may add up. However, when you consider how seldom you actually replace the filter, the added cost doesn’t break the bank. Although the Best brand offers up a lifetime warranty, we’re not so sure this is that much of an advantage. If the filter fails on you, you’re more likely to find an alternative brand than to use the same one. Lifetime indicates you can replace it anytime, but there are likely several stipulations in this policy that aren’t advertised. Aside from the GE brand’s best-fit advantage, we love the GE water filter’s NSF 53 certification. Water filters that only focus on the aesthetics are deceptively unsanitary. Spend a little extra money and buy a filter that you know will not only make your water taste good, but will also eliminate a slew of unhealthy pollutants. Your family will be happier and healthier because of it. By far the GE Water Filter is the best of these 3 products and our favorite! While the price is slightly higher than the others, it is well worth it. GE is clearly the most expensive since it carries the GE name. However, that price also includes the NSF 53 certification. In these respects, GE wins the battle. You’ll pay more, but you’ll know your water is cleaner. We confidently give it a 4.6-star rating!